As several countries rally around the idea of legal rights for natural resources, can a similar status be granted to the Ganga? A casual search on the internet yields a plethora of promises, allegations and symbolism linking the Ganga to India’s upcoming national elections. Almost every party wants to invoke the mighty river’s blessings, and with that, the blessings of millions of voters for whom it is sacred, or otherwise important. But will anything change for the Ganga, or indeed for any of India’s rivers? Or will they continue to be polluted, blocked, diverted, mined, dredged and violated in every which way? It is not only politicians who are remembering the Ganga. In the past two months, tens of millions of pilgrims thronged the sacred confluence of Ganga and Yamuna, hoping to emancipate themselves from the cycle of rebirth. Many seemed unconcerned about the stark paradox in the way that, even as we venerate rivers – and depend on them for our lives – we also desecrate them in countless ways. The mighty Ganga basin covers 26% of the land mass of the country. It nurtures a complex web of biological, hydrological, nutrient cycles and other relationships that fuel biodiversity and sustain around 400 million people living in the Indo-Gangetic plains. Yet, the river and its tributaries are heavily dammed in the upper reaches and polluted in the plains, resulting in the near extinction of species like the Gharial and Gangetic dolphin, endangering several others, hampering the ecological balance, ruining the livelihoods of fishers and farmers, and impacting human health. The BJP in its 2014 election manifesto stated, “Pure water of the Ganga is essential for the spiritual as well as physical wellbeing of India.” Shortly after coming to power in 2014, the Modi government announced a 20,000-crore Namami Gange project to ensure the nirmalta (purity) and the aviralta (continuous flow) of the Ganga. However, like most election promises, this too remained unfulfilled. Five years later, evidence suggests that Ganga is in a state more dire than ever before. The Varanasi-based Sankat Mochan Foundation, for instance, reported a massive jump in faecal coliform in the Ganga in the last few years. The Char Dham Pariyojna, the inland waterways project, the Ken-Betwa river interlinking project in the Ganga basin along with three under-construction dams (Tapovan-Vishnugad, Vishnugad-Pipalkoti and Singoli-Bhatwari) have further endangered the river, while sand mining and water pollution continue unabated. Adding to the problem is climate change, which is reportedly shrinking the Gangotri glacier by 22 metres each year – nearly twice as fast as 20 years ago. As long as the state’s priorities remain directed towards extraction in accordance with a destructive model of ‘development’, irreversible damage to the environment will keep rising. Numerous policies and legislations to protect and manage natural resources, including the Environment (Protection) Act, and its subsidiary legislation on wetlands, rivers, etc. have been largely ineffective. So, would recognising the rights for rivers be a viable solution? On March 22 and 30, the Uttarakhand high court ruled that the Ganga and Yamuna, their tributaries and the glaciers and catchment feeding these rivers in Uttarakhand have rights as a ‘juristic/legal person/living entity’. There have been a series of other such events across the world, that signal a radical shift from an extractive mindset to one that gives precedence to nature. In 2008, Ecuador became the first country in the world to recognise the Rights of Nature in its constitution. In November 2016, Colombia’s Constitutional Court declared that the Atrato River basin possesses rights to “protection, conservation, maintenance, and restoration”. Following this, in 2017, the New Zealand Parliament passed the Te Awa Tupua (Whanganui River Claims Settlement) Bill, which gives the Whanganui river and its ecosystem legal personality and standing in its own right, guaranteeing its ‘health and wellbeing’. But do these have any effect on the ground? To recognise the rights of rivers legally, it should mean that the river can bring a lawsuit under its name, have its injuries recognised, hold its polluters liable, claim compensation, and be entitled to other remedies. It would mean the right to flow without being dammed or diverted in such a significant way that the river’s basic character is altered (e.g. being converted into a reservoir, or channelised through canals and tunnels). The river would have a right to exist, to evolve, to not be polluted, to perform its ecological functions, to nurture its native biodiversity, and to maintain its geomorphic and spiritual identity. To defend such rights, rivers like human children would need a custodian. Who would that be? The Uttarakhand high court appointed government officials and some lawyers as custodians, but this would hardly work if the government itself were responsible for violating the river’s rights. Instead, a democratic system of custodianship with a multilevel consultative process would be required. Traditional or customary rights-holders of the river such as fisher-folk, farmers along the river bank, and people who stand to lose heavily if the health of the river is affected should have a central role in decision making. In the case of the Whanganui River in New Zealand, for instance, the local Maori indigenous people are custodians of the river along with the government. 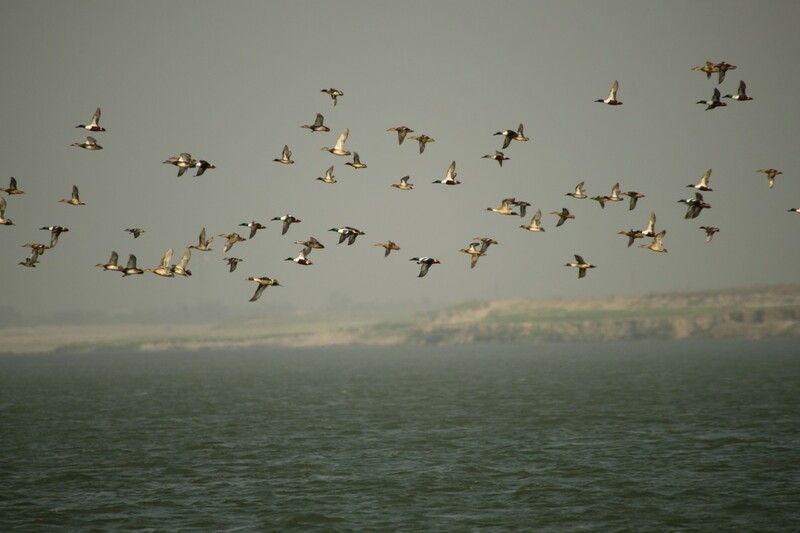 Additional roles could be played by civil society organisations and individuals, with an established record of advocacy on behalf of the river, its flora and fauna and its dependent human communities, and relevant government institutions. All of these could come under an institution, with powers to monitor, protect and regulate, empowered to take legal action against anyone (including the government) violating the river’s rights. To do so, it would need to have an independent constitutional status, not subjected to governmental diktat or interference. This would also mean undoing certain violations already done to the river; e.g. decommissioning some dams, regenerating catchment areas to re-establish ecological flows, cleaning up pollution and adequately compensating affected communities. 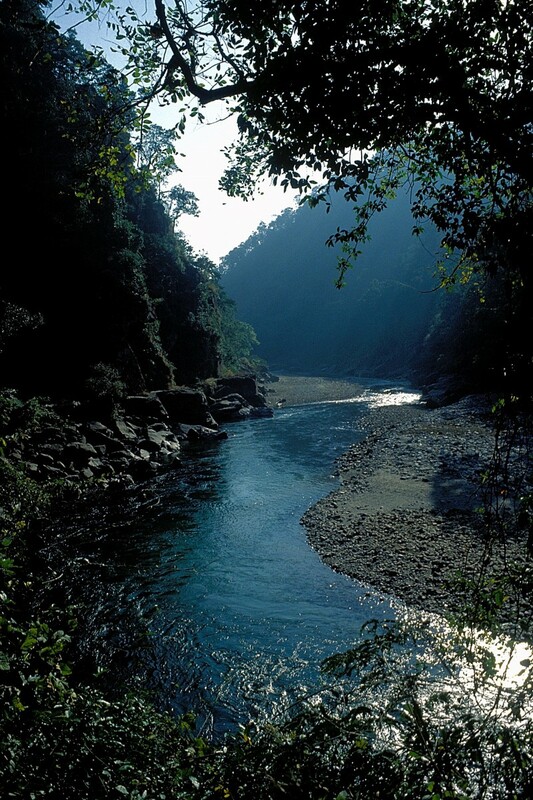 We will also have to ensure protection on a basin- and catchment-scale to ensure that the watershed, mountain and forest environments as well as the flood-plains, wetlands, deltas, estuaries and near-shore coastal habitats are included, since destructive activities in these affect the river. The constitution of India provides for a citizen’s and state’s duty to the environment. Hence, jurisprudentially, there must be a corresponding right for the environment too. Besides, the constitution states that it is a fundamental duty of all citizens, to protect and improve the natural environment. Protecting the rights of rivers as defined above follows from this. Rights of rivers in election manifestoes? 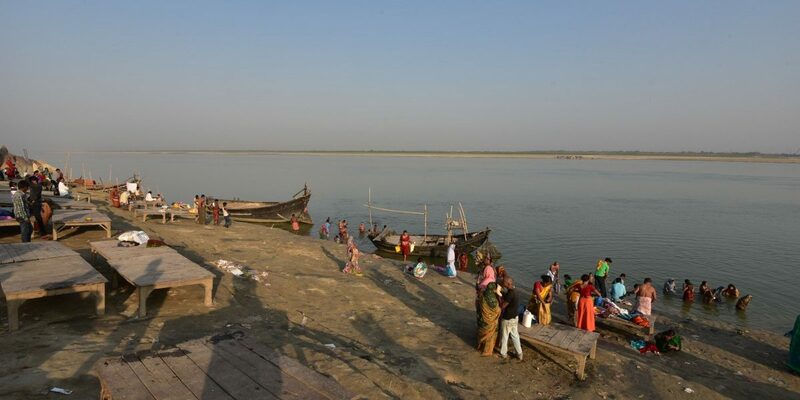 With the upcoming 2019 Lok Sabha elections, rivers like the Ganga will certainly figure in the manifestos of several parties, in one way or the other; but will any of them tackle the basic issue of how to ensure respect for rivers? Political parties need to take up the rights of rivers as an electoral issue, initiate a consultative process to define the rights and state the elements of implementation. Can political parties do that beyond the empty paeans to their holiness? While acknowledging that recognising the rights of rivers is necessary, would it also be sufficient to bring about the ethics of caring for them? Let us remember here the sacrifice of Swami Sanand (Professor G.D. Agrawal), who gave up his life after 111 days of continuous fast for the free flow of Ganges. Till the end, the BJP government ignored his pleas. A set of relay fasts unto death continue, with 26-year-old Aatmabodhanand, a young saint from Matri Sadan, who started a fast on October 24, 2018. A rally in support of these quiet warriors by the National Alliance of People’s Movements, held on February 23, 2019, called for national action to save rivers. Environmental activists have been arguing for a need for cultural change to bring about the ethics of care, a discourse that can alter the way we see the rest of nature. In this, we have much to learn from indigenous people around the world who have respected nature as part of their worldviews and lives. Ultimately, we will respect, and achieve harmony with, the rest of nature not because we have given it legal rights, but simply because it is the only way to survive. But in the cut-throat competitiveness that characterises our elections, do ethics have any place? 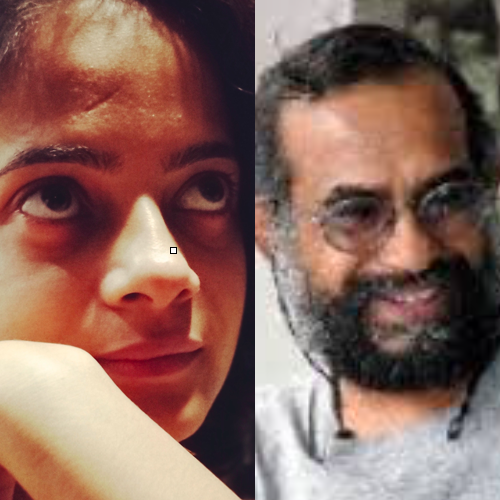 Shrishtee Bajpai and Ashish Kothari work with Kalpavriksh, Pune and Vikalp Sangam.